Volvo has added Apple Car Play to its first vehicle in the US, the new Volvo XC90 and you can see the software in action in the video below. The video below shows how Apple Car Play works in the Volvo XC90, all of the controls for apps on your iPhone are now controlled via a large touchscreen built into the vehicle. 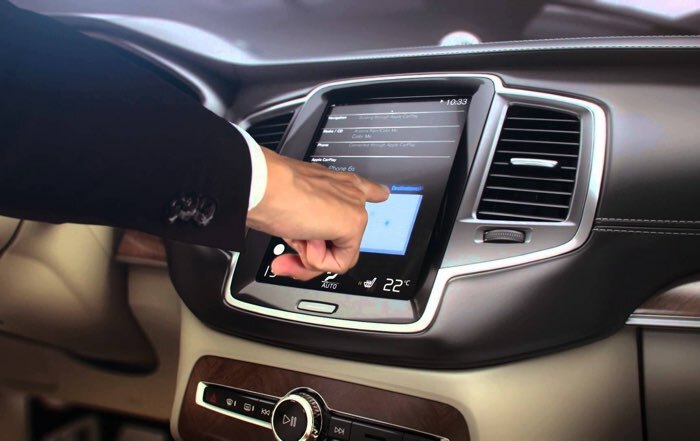 With the Volvo system, Car Play does not use up the whole display unlike other systems, this allows you to use the touchscreen functions for the vehicle along with Car Play on the same display. At the moment it is just Apple’s in car system that is available in Volvo cars in the US, the company has said that it will bring Google’s Android Auto to its vehicles in 2016.